Venue: Bar-Ilan University, Beck Auditorium (see "campus map" elsewhere on this page). Organizers: Avinoam Mann, Louis Rowen, Uzi Vishne and Michael Schein. For information contact Uzi Vishne. 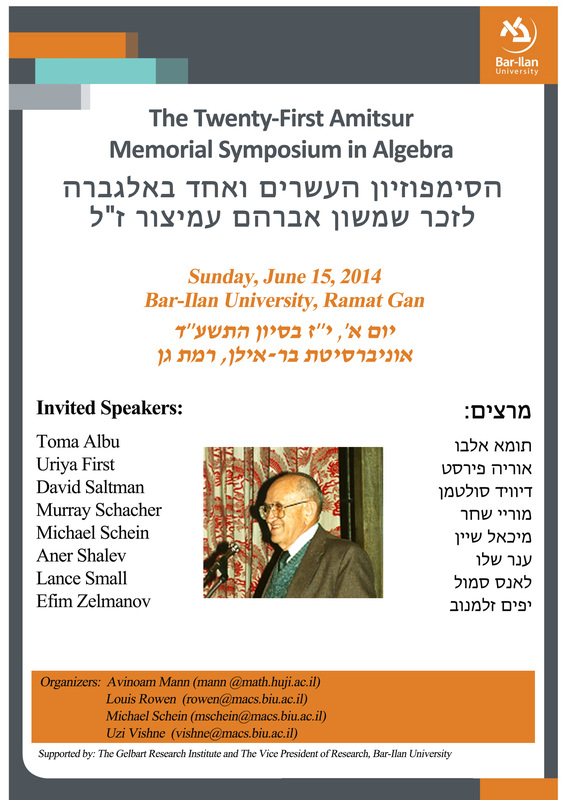 And the IMU-AMS 2014 meeting is Monday-Tuesday (Bar Ilan) and Wednesday-Thursday (Tel Aviv) of the same week.